Earlier this year THP was able to Spotlight the PuttOut “Pressure Putt Trainer” which was everywhere at the 2017 PGA Show. Since that time, the company has been working on, and subsequently teasing, the release of a Putting Mat which would naturally work well with the PuttOut, but also serve as a quality standalone mat. After much time ensuring they had what they believe to be the best and highest quality materials, which means durability and performance, the London based company has finally released the mat. 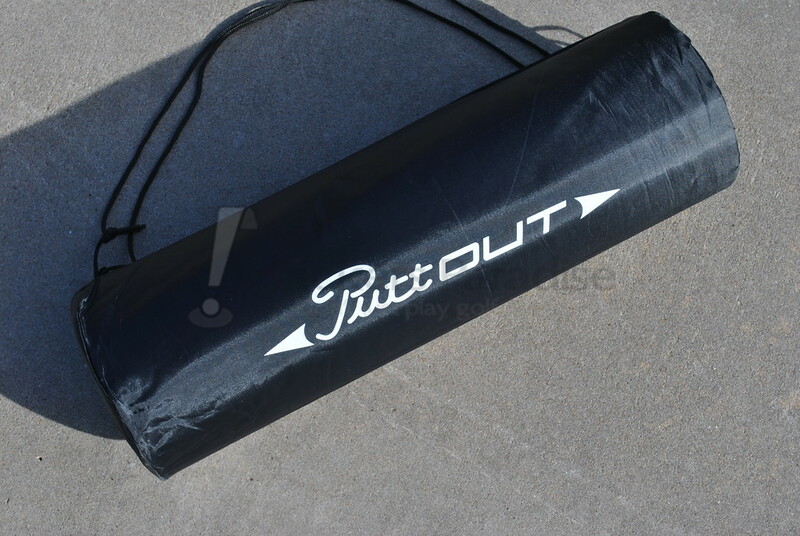 Just as was the case with the PuttOut, THP wanted to get the putting mat in hand to see just what the company has come up with this time, and if it stands out like their flagship product. What is the PuttOut Putting Mat? Seems like a pretty simple answer, no? Indeed, we are discussing a putting mat, not necessarily the most technological device out there, but still a significant product when it comes to aiding the practice habits of golfers. 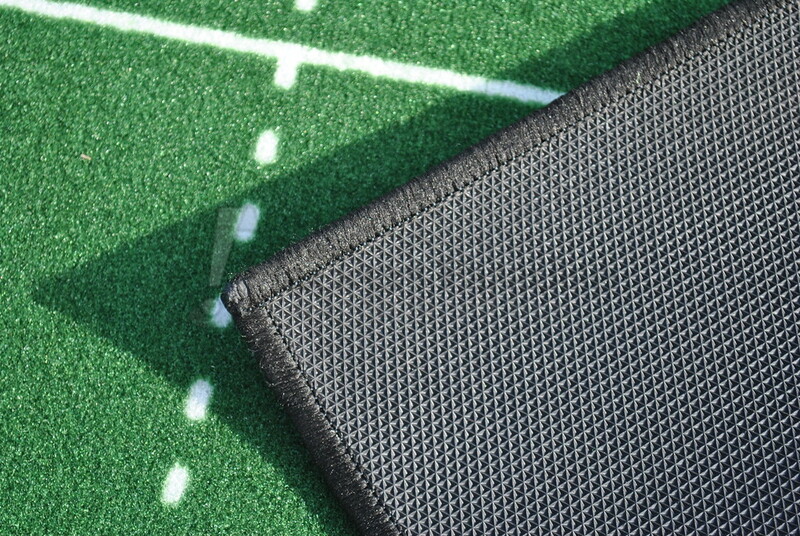 The putting mat is intended to function as both a standalone training aid and in coordination with the PuttOut Pressure Trainer. The goal was to create a simple and effective training aid which can be easily stored without fear of costing performance like the majority of the cheaper mats. This mat is also available in two different colors (green and grey) so that they can blend in a variety of indoor settings be it a man-cave or the middle of the living room. As referenced earlier, PuttOut has taken their time with this mat. Not only did they want to ensure a smooth roll out (pun intended), but they wanted to make sure they had done more than just create another flimsy and non-durable putting surface. Speed is always a major concern with a product like this, and to hit the broadest margin of comfort the PuttOut runs at a 10 on the stimp-meter which will settle itself right in the middle of fast and slow for most golfers. The backing is substantial while having a deep texture to ensure placement but keeping flexibility, which is what affords it the ability to lay flat so easily when unpacking. 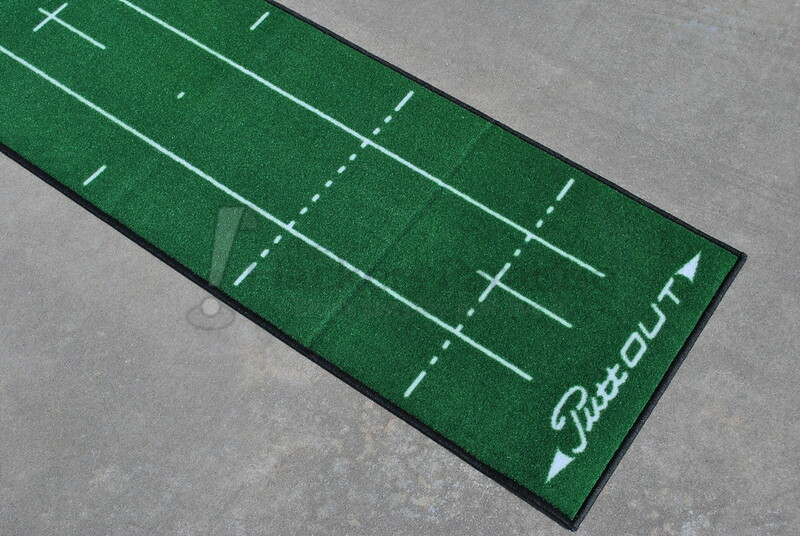 The mat measures just under 8-feet (7.87 feet) in length and 2-feet (1.64 feet) in width and features the company’s stylized PuttOut logo on both ends. There are “gate” markings which run perpendicular to both sides of the putter for a visual cue of the arc/path during the stroke, these are accompanied by seven marks at one foot intervals on the outer edges to help change distances. 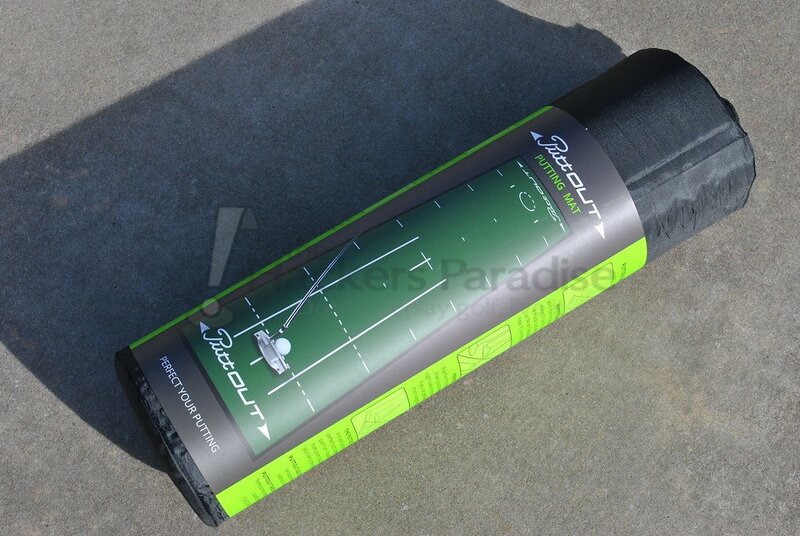 Also, though the Putting mat is absent a “fall in” cup, it has markings that are the exact diameter of a golf cup. 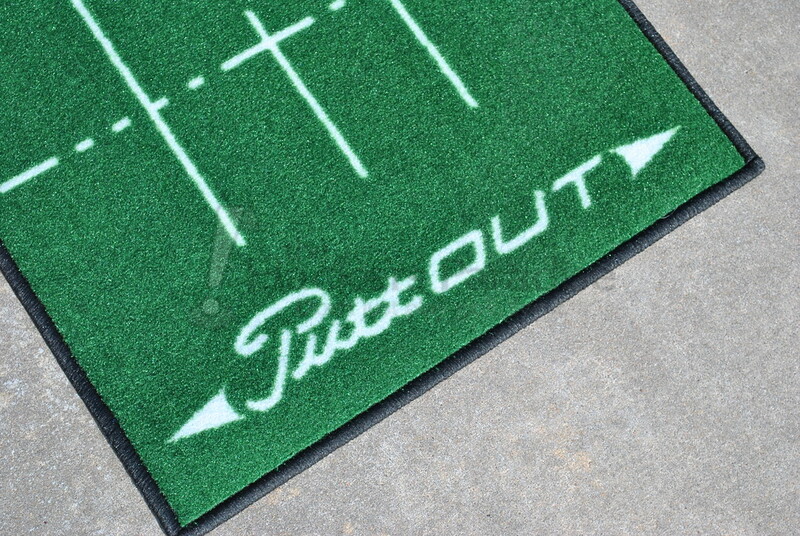 The first thing that needs to be clear is that no, PuttOut is not going after the high-end mats out there, but they also understand that the majority of golfers are not going after that price range either. Coming in at $89.99, it is higher than several mats out there, but after getting this one in hand and having owned several others, this situates itself in a category well above those when it comes to performance. The standout aspect is the material, and moreso the “Roll Flat” ability of the mat thanks to the thick TPR backing. PuttOut is counting on the portability factor with this one, so that rubber backing is critical. Though the mat comes in a handy carrying bag, which also features a dense cylinder of cardboard that the mat is placed in after rolling up before it is then placed in the aforementioned bag. While it might seem like an extra step, those of us who have used other mats know they tend to crease or bend at the edges, this is just another preventative measure for that. Yes, it’s a simple drawstring bag and tube, but for those whose significant other might insist on being able to put away the mat to get it out of eyesight, it’s a big deal and a nice touch. In the end, it always comes back to the roll being true or not. In the case of the Putt-Out Mat, the “10” stimp-meter rating rolled spot on in the opinion of this reviewer, and directly on par with a much more expensive option as well. The backing is dense enough to ensure no movement or play in the mat while putting. It should be kept in mind though, extremely shaggy/fluffy carpet will be an issue, but on hard floors and tightly woven carpet there was no issue. Also, while some might not like that you cannot stand on the mat while putting, the thickness does not cause any issues during practice. All in all, the roll is true, and the feedback is solid. Though some might wonder if the PuttOut pressure trainer is a necessity to get the most out of the mat, it is the opinion of this reviewer that of course more putting feedback is better, but it is not at all necessary to get good practice out of the mat. When a company in the practice/training-aid market hits a homerun the first time, there can be pressure to keep the momentum, but it is hard to develop something that stands out and is unique two times in a row. PuttOut has not only done that, but they have supplemented their pressure trainer at the same time and helped its effectiveness. Being that they are a London based company, they have from time to time battled stateside supply issues but those have cleared up nicely and the use of Amazon for access has been a smart move. Priced at $89.99, it definitely isn’t the cheapest, but the quality is there for those who truly enjoy practicing their putting indoors throughout the year. More information both of PuttOut’s products can be found at www.PuttOut.golf. Great review James. The price and quality really speak to me as well as the fact that it lays flat and is easily portable. Great review James, and seems to be a very complete product. I’ve had issues with the cheapo mats out there, and it appears all of those have been addressed. Thanks for including the tidbit about the non-necessity of owning the Putt Out trainer. Good write up James! It’s nice to see a company able to make a quality product at a reasonable price point. Great detailed review James. 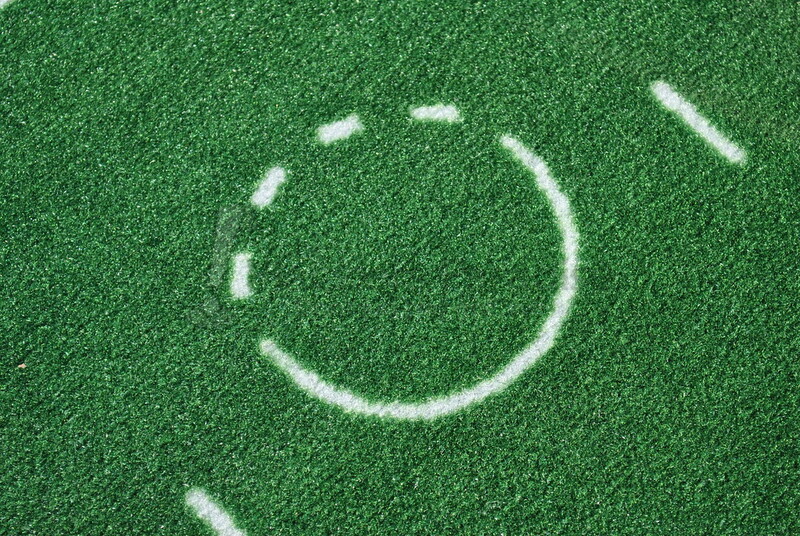 A lot to like about this mat. Price point is solid for a good mat, the markings on the mat are great training tools and the ability to roll it up without worry how it will unroll the next time is invaluable. Great stuff James. I ended up ordering one yesterday due in large part to your feedback in the thread. I’m excited to finally get a good training mat to compliment the PuttOut aid. Thanks for the write-up James. I’m definitely in the market for a putting mat of some sort, and your continued thoughts on this one have it near the top of my list. Great review, I have been looking at these for some time now. Since you are through reviewing, i would love to use it over the winter…. Thanks for the review James. As someone who uses an indoor putting mat a lot, this one is at the top of the list to try out. My biggest issue with my current mat is uneven bulges from being stored away and inconsistent surface. Looks like this solves both of those. Great review James, I think I’ll be pulling the trigger on this one, love the fact that their will be no bulges from storing. Nice review James! This one is on the list for sure as my previous mat is starting to show it’s age. Just need to click the buy button. Great write up James, thanks! I have toyed with the idea of getting a new higher quality putting mat for a long time, I really should jump on this one! I’ll definitely consider it in my search! I have one of these which was received at Christmas and can’t believe how good it is. I’m always sceptical about products which have lots of hype and are apparently perfect prior to owning but this is justified. Its fantastic. I highly recommend getting the puttout to go with it as well. Great review James! This is a really solid option for most people – especially coupled with the PuttOut Pressure trainer. Thanks for the review! I’ve been disappointed in the past with putting mats that end up having small hills in them and don’t stay flat. Interesting here for sure! I like that the mat stays flat, the one I had I pitched out because it would not lay flat. i may order me one of these. Thanks for the review. I bought a Putt Out mat and putting aid 2 weeks ago. I think the aid is brilliant and really focuses your mind when practising. Using it has improved my sense of feel and distanc already. Can’t say the same about the mat. Not the surface I was expecting and it doesn’t roll out perfectly flat as all the reviews say. The markings are useful but the ball doesn’t always run true as the mat rucks up. If the backing was a heavier rubber compound the mat could possibly be briiliant too. and you can store it in the cardboard tube. Wow! Shame really as with a heavier backing I t could be so good. Save your money and just buy the putting aid which really is very good!